Maintain the purity of your oil by purchasing a new tank from us. Our team of experts will attend your property and remove the old, existing structure, before installing a new, pristine tank. Whether you are looking to prevent your tank from degrading, or a leak has occurred and you need help to stop it from spreading, call upon our cleaning and pumping services. At Bryan G Paulley Ltd, we stock a broad range of products. In order to discover the full extent of our tank selection, as well as how much they cost, take a look at our prices page. To receive professional oil storage solutions call us on 0800 824 7208. 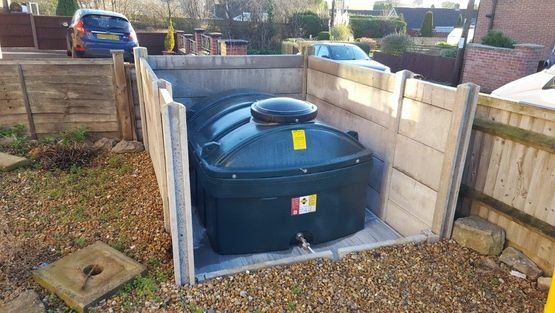 Dealing with oil storage solutions is a complex and potentially dangerous job, which is why you should leave it to our oil tank specialists. At Bryan G Paulley Ltd, we have more than 35 years of experience in removing, installing, and cleaning oil tanks. Working with domestic and commercial customers, including councils, schools, and the Environment Agency, we provide 24-hour call outs, free quotes and site visits, and satisfaction guaranteed. Our team consists of expert designers, quality installers, and knowledgeable engineers, while we are both OFTEC registered and certified to remove oil waste. In order to maintain the high standard of service that our customers expect, we only supply Envirostore™ tanks, which are among the finest on the market.